We now live in a sophisticated world; people are now given the opportunity to experience comfort in all areas of living, banking included. Technology has a lot to do with it. In this modern and vastly improving era, almost every tool, equipment, gadget and machinery are constantly refined and designed in a way that will give consumers maximum satisfaction and exceed their expectations. The difference with technology nowadays is the wide availability of options. Gone are the days when people had no choice but to endure difficulty and discomfort due to the lack of alternatives. However, modern technology has changed all of that. 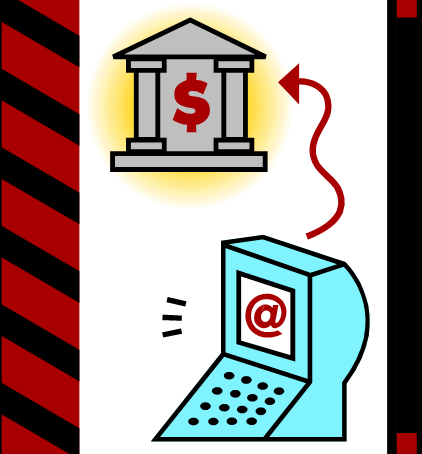 In the day of the internet, financial institutions offer online banking as a way of doing service, such as online banking. Online banking makes it easy for the people to do business more quickly and efficiently. They rely on online access because of its accessibility anytime of the day. For those who can’t go to the bank for health reasons or during office hours because of their work, online banking is a very convenient alternative. One of the advantages includes the ease of monitoring your money from anywhere in the world. Before starting an account to bank online, we should familiarize ourselves with the risks and advantages of online banking. Identity thieves are hackers who steal information from accounts online. No matter the state of the security measures protect the online account, these computer criminals are always working to bypass the existing security system. Phishing is another way of stealing information by e-mail. They will take you to a fake website that looks and act like your bank. Once you login to the fake site, they will use your login information to steal money and personal information to your account. We are now gazing at a new horizon; technology will always lead the way to the future. However, the future is not always good: like technology, online banking has both advantages and disadvantages. While online banking is convenient for the modern world, we also need to take care of our personal and financial information. Always remember that thieves are always there to steal from us.